High speed touring: outrageously irresponsible, maybe, but C’était un rendez-vous is also an inspired guide to Paris. Rendezvous is an outrageous film and becomes more so as time goes by in a city which welcomes cars less and less. A man races through early morning Paris in 1976 to meet his beautiful blond lover on the steps of the Sacre Coeur. The full title is actually C’était un rendez-vous (‘It was a date’). Debate rages even today about many aspects of the film, from the identity of the driver to what he’s driving – likely a Mercedes 450SEL 6.9 with sound dubbed from a V12 Ferrari 275GTB – and whether it really was taken at the speed it appears to be. One thing not in doubt is the route itself. It takes in many of the major landmarks and ends with a glorious view over Paris. With two notable exceptions it can still be driven today. Rendezvous starts with our man roaring out of a tunnel on the Boulevard Peripherique at Porte Dauphine, beside the Bois de Boulogne in western Paris. From there he heads up Avenue Foch to the Arc de Triomphe, the Champs Elysee and Place Concorde. 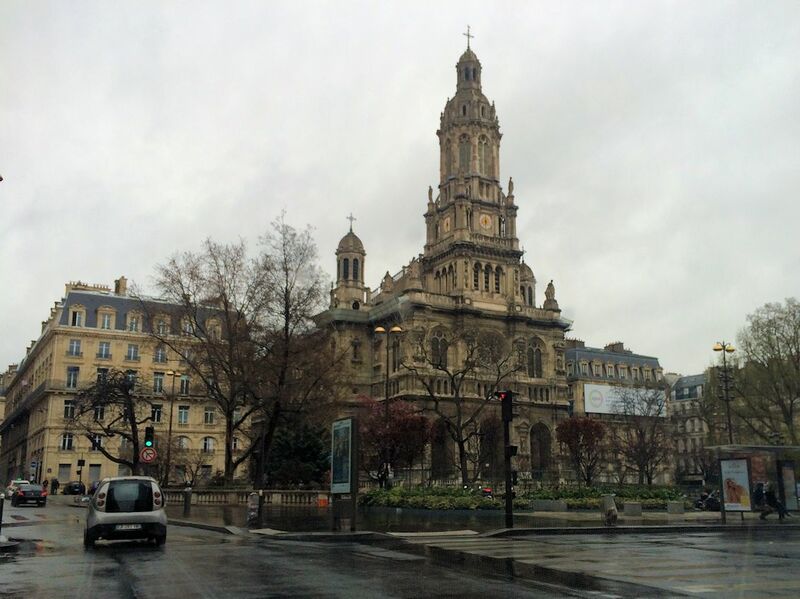 After skirting the Tuileries Garden our hero turns left across the front of the Louvre and into the city centre around the statute of Joan of Arc at Place des Pyramides – you can go either way – then up to Rue de l’Opera and head-on to the Palais Garnier. This is where you must divert from the original route. Then as now, Rue de la Chaussee d’Antin is one-way. That didn’t bother our mysterious driver – surely because of the fantastic view of Sainte-Trinite – but these days you must drive around the Opera to Rue Mogador (beside the Galeries Lafayette department store) to Place d’Estienne d’Orvres, in front of the church, and turn left at the south east corner to get back on track. From there it’s a half right up to Pigalle and Boulevard de Clichy in the heart of the city’s infamous red light district. 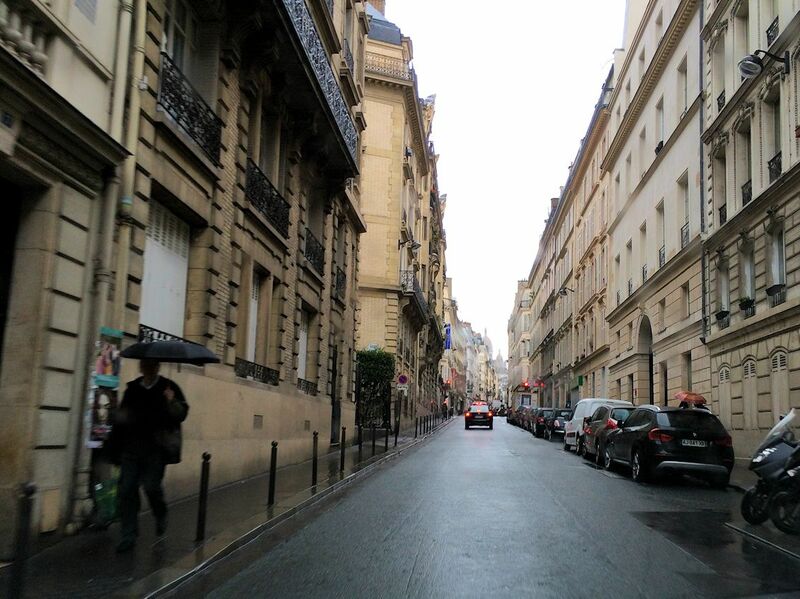 (note: Boulevard Clichy is part of the Paris inner ring, inside the peripherique, which stretches from the Arc de Triomphe in the west right around the city and back to the Eiffel Tower on the opposite bank of the Seine, another handy route for driving tourists). 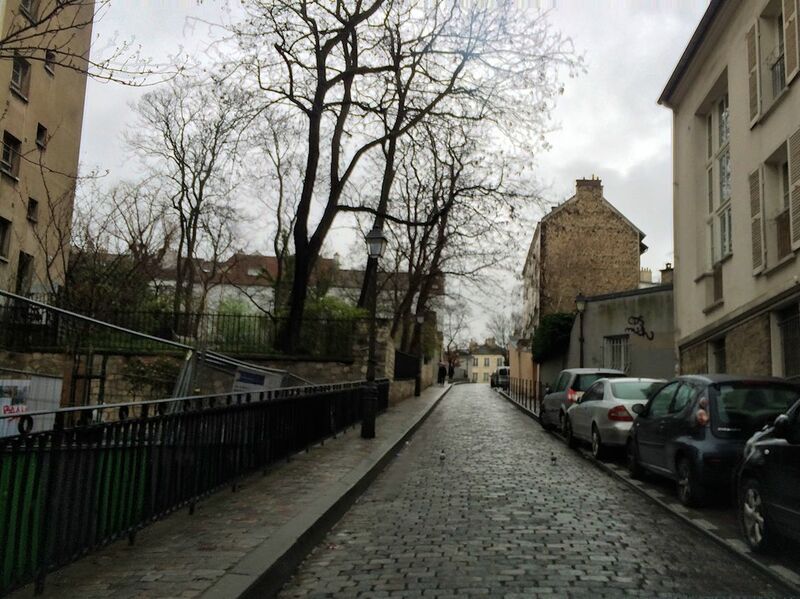 Not long after the Moulin Rouge, on the right, the route heads uphill to Montmartre on Rue Caulaincourt, across the cemetery to a fast right at the top after which you need to haul on the brakes. This is where it went wrong for us, not least because of road closures this Sunday morning for a cycling event, and the one-way system. 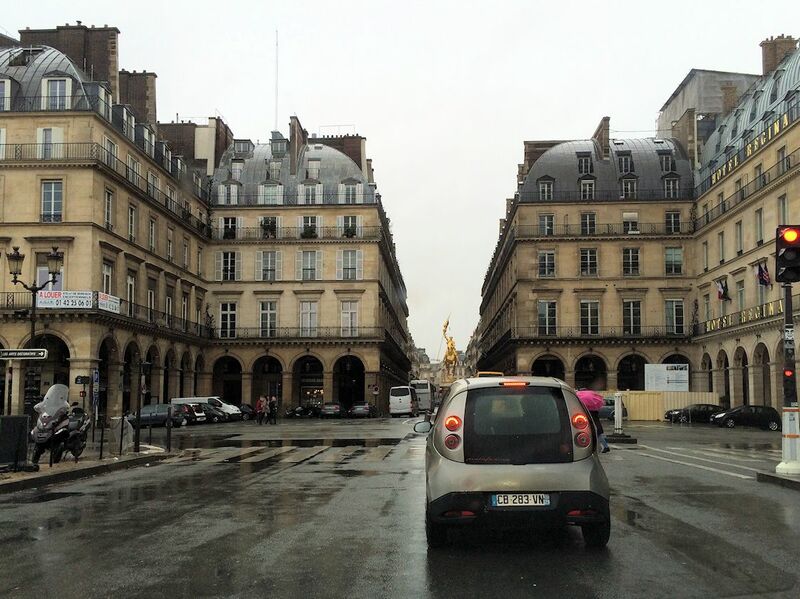 In the film, the driver doubles back briefly on Avenue Juno before heading straight to Sacre Cour except for a sharp right-left after the Place du Tertre market square. Nowadays you can’t do this thanks to a twenty meter one-way stretch on the original right-left (and a blind exit). If only we had realised it at the time, but it is still possible to reach Sacre Cour by car, from Rue Lamarck further down Rue Caulaincourt. See below for a map. C’était un rendez-vous was digitally remastered in 2013, now available from Spirit Level Films. 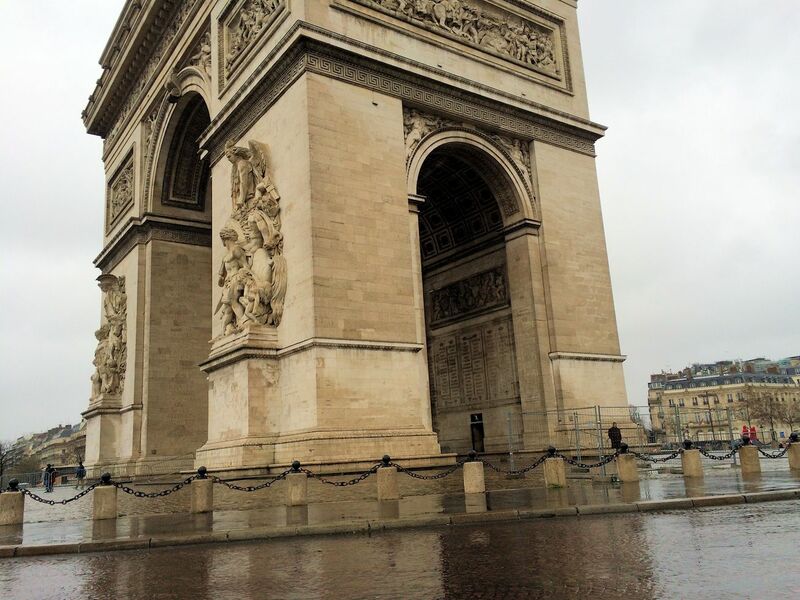 Rounding the Arc de Triomphe. Place des Pyramides and the gold statue of Joan of Arc. 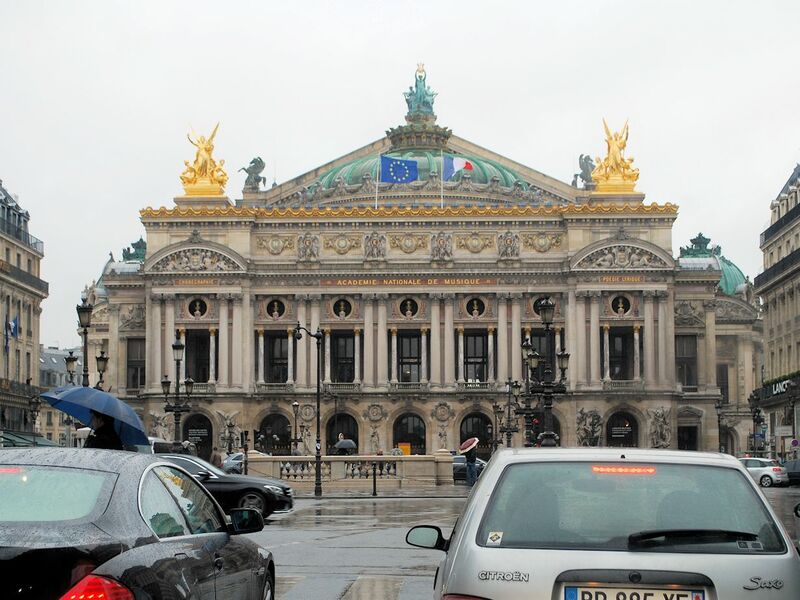 The Palais Garnier, home of the Paris Opera. Eglise de la Sainte-Trinite on Place d’Estienne d’Orvres. 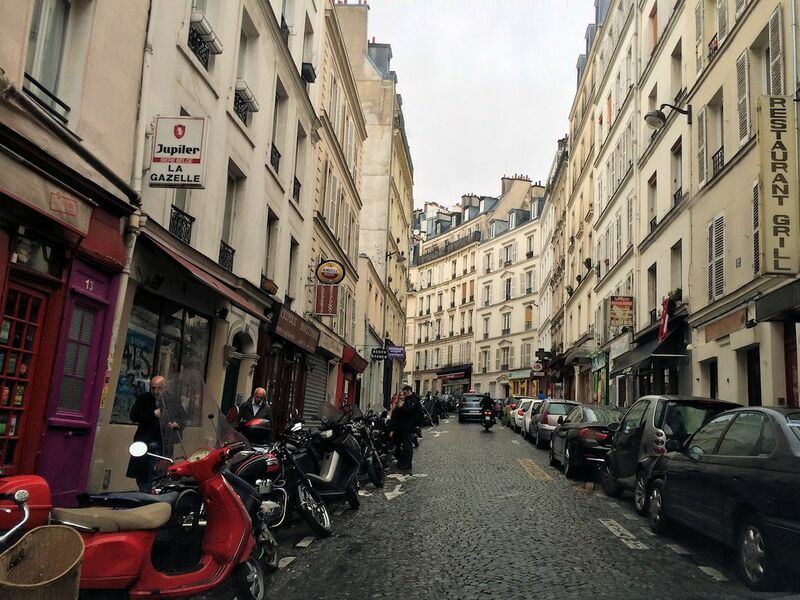 Rue de Jean-Baptiste Pigalle, named after the sculptor, and a famous shot from the film. Pigalle, with the Moulin Rouge along to the right. The final stretch, Rue Norvins to Place du Tertre market square, another classic shot from the film.